I am delighted to welcome you to Whitburn Church of England Academy, where it is my very great privilege and honour to be Principal. Our ethos statement confirms our determination to provide an inclusive education for the local community in which the rights of all are respected, irrespective of personal beliefs. We are proud to be a school at the heart of the Whitburn community and its surrounding villages. Our pupils enjoy fantastic facilities, supporting our high aspirations for them. The academy has a strong academic tradition and pupils achieve very well in their GCSEs, where our results are consistently amongst the highest performing North East state schools. Our first two years of A level results demonstrate that we can also produce fantastic results with our Sixth Form students. 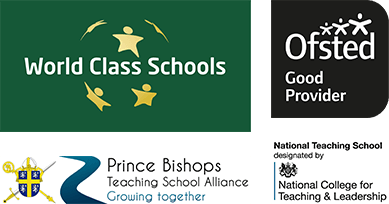 In December 2017, we received the World Class Schools Quality Mark, one of only 60 schools in England to receive this accreditation. We were proud to receive this award, as it is unique because it is the students who are assessed, not the staff. This is based on the idea that if the school is truly World Class, then its students should be able to demonstrate this in whatever context they find themselves. Students are assessed against a skills and competency framework unique to World Class, because it measures young people’s readiness for the world of work and life in 21st century society. Miranda Perry, Director of World Class Schools Quality Mark. In January 2018, we had our first full OFSTED inspection since 2009. This was triggered by the opening of the Sixth Form as any ‘outstanding’ school which adds a Sixth Form is inspected within 3 years of the opening date. The two key focus of the inspection were on the Sixth Form provision and whether the school was still providing an outstanding education for all students. The inspection on 10th January, confirmed that “the overall effectiveness of the school remains outstanding“. OFSTED also recognised the Sixth Form as outstanding, with the inspectors concluding that “teaching in the Sixth Form is equally effective as in the rest of the school” and our Sixth Form students “through effective leadership have high aspirations, know where they are headed and feel well supported on their journey to get there”. Under the new OFSTED regime, many ‘outstanding’ schools which had not been re-inspected for some time have subsequently lost their ‘outstanding’ judgement, which makes the judgment in the January inspection even more of an achievement. Whitburn is the only ‘outstanding’ school in the North East to retain its judgement and one of only two mainstream schools in the region to attain this rating during 2017-18 inspections. This provides reassurance to parents, carers and students that the school has maintained the highest standards and extended these within the Sixth Form, which has been a fantastic addition to our provision. We are very proud of our results, accolades and inspection judgments but we achieve success by working tirelessly to ensure that we get the best out of all of our pupils. We are a forward thinking school and I’m delighted that we’ve been able to add Mandarin to our curriculum this year. We strive to make our motto of “Excellence for All” a reality. Exam results are only ever part of the picture in regard to the outstanding education we wish for all our pupils. We take great pride in the rich and diverse extra-curricular life on offer, with a wide range of sporting, musical and other activities. Perhaps the line we can be most proud of in the OFSTED report is “the pupils are the focus of attention and you all want every pupil to fulfil their potential”. We celebrate the success of our pupils in all aspects of school life and it matters just as much to us that our ‘graduates’ are confident, articulate and thoughtful, as well as achieving academic success. As a Church of England School we support the development of moral values and of a rich and fulfilling spiritual life for the entire academy community. We look to develop key Christian values such as kindness and forgiveness amongst our pupils. However, we are a fully inclusive school and we do not have faith criteria within our admission policy, welcoming pupils of other faiths and no faith. Partnership work with parents and carers is a strength of the academy and something we value highly. Links with the local community are well developed and there is a strong parental representation on the Governing Body and a very committed and active Parent Teacher Association (PTA). We take a very professional approach to all aspects of our work and there is no complacency; we don’t always get it right first time but we learn from our mistakes. Our focus is always on teaching and learning; lessons provide all pupils with challenge, support, rigour and pace in proper measure. We recognise that there are no shortcuts to quality in education; the way to success lies in high expectations, thorough planning, regular monitoring and review and sheer hard work. Our continued success is a well-deserved testimony to the dedication and efforts of our pupils, staff, parents, carers and governors.